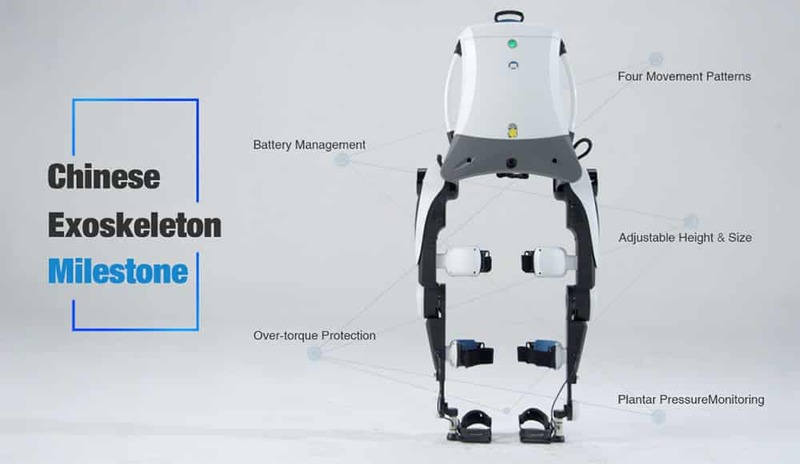 The Chinese technology company – Fourier Intelligence Co. Ltd has now joined the ranks of walking assist exoskeleton developers. The powered wearable robot, Fourier X1, was unveiled to the public at the World Federation for Neuro-Rehabilitation Conference (WFNR) in Shanghai on March 20, 2017. Fourier Intelligence is a startup founded in 2015 at Shanghai Zhangjiang Hi-Tech Park. The company name is inspired by the French mathematician – Joseph Fourier and his honored works such as the Fourier series. 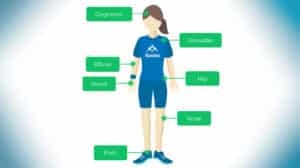 The company provides products and services in rehabilitation robotics, orthoses and now exoskeletons. Their aim is to transfer the human capabilities and push them to go beyond their physical limits. At last year’s WearRAcon16 it was emphasized repeatedly that investments for development in robotics, including exoskeletons, has increased sharply in China. These development efforts are now starting to bear fruit. 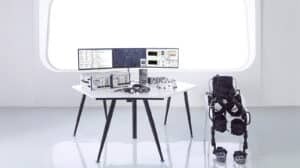 Speaking of wearable robotics conferences, Fourier Intelligence will debut its powered exoskeleton in the U.S. during WearRAcon17, this April in Phoenix, Arizona. 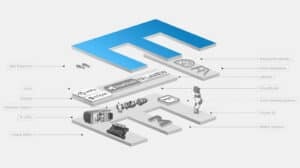 Hopefully, the company will reveal more of what is “under the hood” of the Fourier X1 and its rumored advances in force feedback and user interaction. What do we know about the Fourier X1 so far? 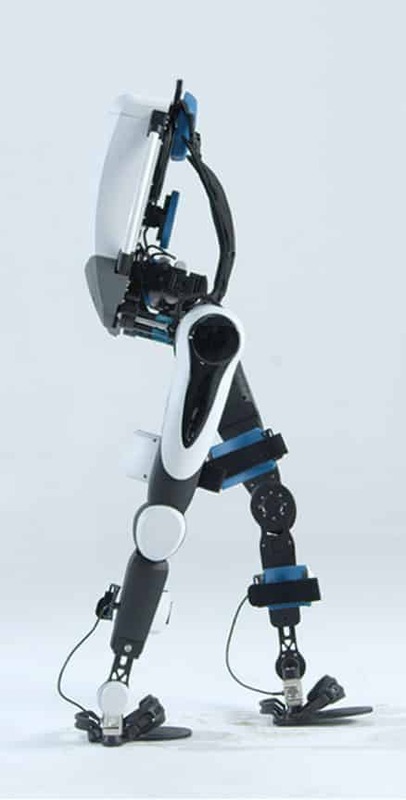 Battery powered lower body exoskeleton with motors actuating the hips and knees. The Fourier X1 applies industrial design into the exoskeleton. It is made of an aluminum body and carbon fiber reinforced plastic plates. Designed for both home use and medical gait rehabilitation programs in hospitals and clinics. Intended for use by stroke and spinal cord injury patients. 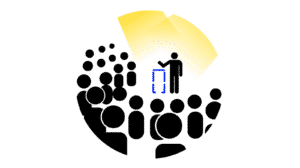 Enable therapists to provide safe, intense, customized and goal-oriented gait training sessions. LED lights that signal the activation state of the motors. 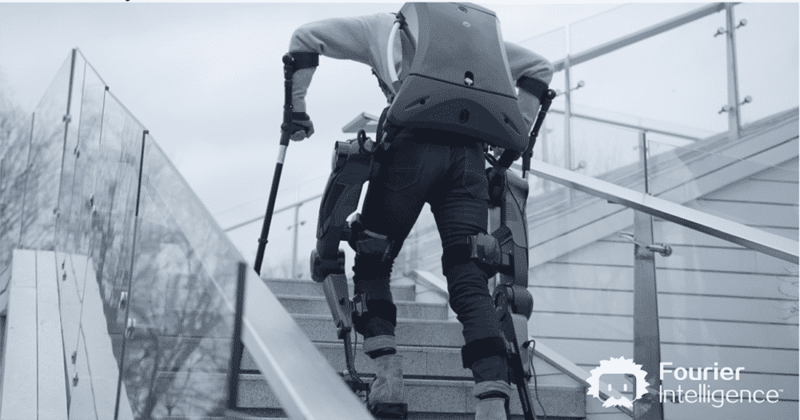 The Fourier X1 aims to enter the exoskeleton market by being one of the most affordable powered exoskeletons. 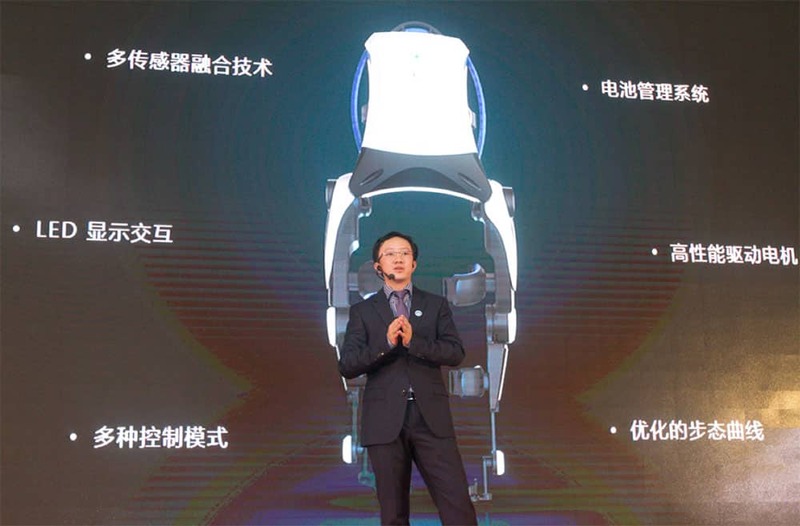 The exoskeleton design leverages Chinese know-how in industrial design and manufacturing cost reductions. The Fourier X1 is a significant step forward for wearable robotics development in China which already includes military and fixed frame exoskeletons. Visit Fourier Intelligence’s YouTube Channel (link) for videos. 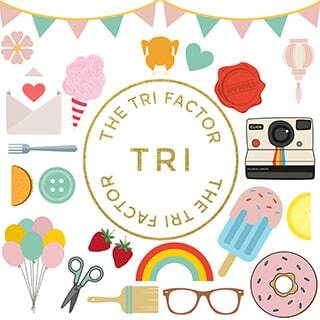 Special thanks to the Fourier Intelligence team for supplying additional images and information! Yes, it is! Visually it looks great, and I like the large handles on the sides of the backpack module. There won’t be much of a recreation right away. The Fourier X1 will have to be approved first for use in the EU, Japan, U.S., and other markets by local regulators. Also, the exoskeleton market service less than 1% of their potential market. It will be quite some time before there is enough market saturation that they will have to worry about another manufacturer taking away market share. A New player! China is a huge market and I do believe the Chinese company like Fourier intelligence will gain a large market share.Let’s see what’s happening next.lower the cost or disruptive technology? Lower cost or disruptive technology? We really don’t know. Hopefully, more will be revealed when they present at WearRAcon17 this April. What is the cost of this exoskeleton? Yes, they have a website, http://www.fftai.com, but the English version is still not up. I don’t know what the cost of the exoskeleton is, but it may be revealed at WearRAcon17 in April. I hope that there is something affordable that you can use anywhere in the world within a few years to a decade. The collective knowledge on how to make exoskeletons is certainly improving!